Pharmacy technicians fill prescriptions and distribute healthcare products under the direction of a pharmacist. They work in hospitals, retail pharmacies, home infusion pharmacies, long-term care facilities, and other health care settings. Their primary role is to fill prescription requests that are issued by physicians, nurses, or hospitals. 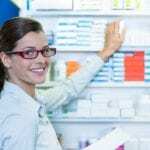 While the technician might oversee the daily administrative functions of the pharmacy and prepare prescriptions from start to finish, a licensed pharmacist must check the order before it is dispensed to the customer. As the healthcare industry grows at an unprecedented rate, job opportunities for pharmacy technicians will abound. According to the Bureau of Labor Statistics, employment is expected to grow 12 percent over the next decade – faster than the average for all occupations. 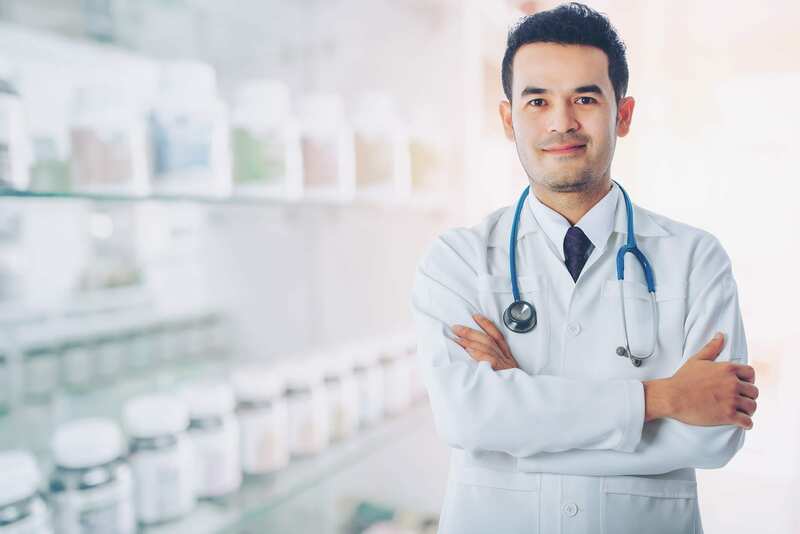 For most employers, certification is essential as it demonstrates that technicians are properly trained and qualified to fill their role in the pharmacy. Certification will provide a competitive edge in your job search, boost potential earnings, and provide opportunities to take on an expanded role in the pharmacy. Students enrolled in the pharmacy technician program at Ace Institute of Technology acquire the knowledge and skills required for entry-level employment in a pharmacy setting. Students learn the parts of the human body, cell structure, and the exchange process, the physiology of drug interaction, the role of pharmacy professionals in various settings, the process of receiving and understanding prescriptions, and the categories of OTC drugs. They also learn the types of insurance related to pharmacy and third-party billing, calculations and conversions for pharmacy technicians, asepsis and repackaging, parenteral and compound medications, and medication storage. Examples of topics covered include anatomy and physiology, pharmacy operations, human body systems, therapeutic agents, prescription processing, OTC medications, dosage forms, pharmacy billing and stocking, pharmacology, parenteral and compound medications, administration, and drug information. The program delivers practical learning opportunities in preparing prescription labels, preparing dispensed records for a pharmacist’s signature, performing inventory counts, and management of inventory. Weekdays and weekend schedules are available to let students attend classes without difficulty. Job placement assistance is available for all graduates. Ace offers resume building and interview preparation to help graduates succeed in their search for employment. Contact the school for an up-to-date schedule of classes and cost of attendance. Molloy College hosts a free Pharmacy Technician Career Seminar before enrolling new students into the Pharmacy Technician Program. The Seminar gives prospective students the opportunity to explore the career to ensure it is the right fit. The 160-hour program comprises of 80 hours of classroom theory and 80 hours of pharmacy practicum at an institutional and community pharmacy. The pharmacy externship gives students the opportunity to apply the theory in real-world settings. Graduates will be eligible to work in various pharmacy settings and take the PTCB exam to become Certified Pharmacy Technicians. Two class schedules are available. One schedule meets two evenings a week for 13 weeks and the other meets on Saturdays for 12 weeks. New students are admitted three times a year. Topics covered in the ASHP accredited course include law and ethics, basic safety standards, communications and customer service, measurements and calculations, over the counter agents, pharmacology, medication errors, classification of drugs, extemporaneous compounding and IV admixtures, dosage forms, abbreviations, and routes of administration. Tuition for the program is $1,800. Students must submit the deposit of $900 at the time of registration. In addition to tuition, students must budget for the cost of textbook, lab coat, and practice exam. A flexible payment plan is available. Through an affiliation with Walgreens Pharmacy, Access Careers offers pharmacy technician graduates the opportunity to interview with the pharmacy for an intern opportunity. The program delivers 120 hours of classroom instruction. Course topics include an introduction to pharmacy technician, drug types, dosage, distribution, and routes of administration, drug information services, federal pharmacy law, transcription of prescription and hospital orders, introduction to pharmacy, controlled substances regulations, drug classification, pharmaceutical mathematics, and parental admixtures and sterile products. In the clinical laboratory skills, students will develop clinical skills and demonstrate proper methods for counting tablets, reconstituting liquid products, fill capsules, and methods for preparing an IV. Graduates are encouraged to sit the Pharmacy Technician Certification exam. Tuition and registration cost $1,500. The pharmacy technician program at New York Institute of Medical Careers covers 130 hours of instruction to prepare students for employment in various pharmacy settings. Topics covered include computer applications in drug control, drug interactions, management and pharmacy operations, dosage forms and administration, pharmacy terminology and abbreviations, pharmacy law and ethics, the history and profession of pharmacy. Other topics include drug interaction, pharmacy terminology and abbreviations, hospital pharmacy and advanced pharmacy, prescription compounding, calculations and dosages, financial management and health insurance, and safety in the workplace. At the conclusion of the theory, students have the option to complete a pharmacy internship at Walgreens Pharmacy. Graduates are encouraged to sit the National Certification Exam to demonstrate professional excellence in the field. Classes meet Monday through Friday from 9:00 am to 2:42 pm for 5 weeks. A high school diploma or GED – applicants with no high school diploma must take and pass an entrance exam. Tuition for the program is $749. Additional costs for books and registration apply. An easy payment plan is available for all students. The Pharmacy Technician training program at Access Institute covers the skills needed to obtain employment as a pharmacy technician in an institutional or retail pharmacy. Graduates will qualify for entry-level positions where they will dispense medications under the supervision of a licensed pharmacist. Through theory and practical instruction, students will know the difference between a hospital and retail pharmacy operation, the laws that govern pharmacy practice, how to interpret physician orders and prescriptions and prepare and distribute prescriptions, perform pharmaceutical calculations, process insurance billing, and manage inventory. They will also learn the importance of patient confidentiality, effective communication, and how to pass the National Certification Exam. Course topics include pharmacy law and ethics, pharmacology, pharmaceutical calculations, orientation to pharmacy, medical and pharmaceutical terminology, inventory management, communication skills, and clinical rotations. Contact the school for an up-to-date schedule and tuition costs. The pharmacy technician program at Queens College includes a comprehensive course of study that prepares students for employment and success on the Pharmacy Technician Certification Exam. Students learn how to mix and compound medications, manage the daily operations of the pharmacy, monitor drug inventory, label and fill prescriptions, prepackage bulk medications, and collect payments. Required courses include pharmacy theory and calculations, pharmacy technician fundamentals, computerized testing practice, medical terminology, anatomy and physiology, and hospitality services for the health care provider. Tuition for the program costs $1,275. Registration and certificate fee is $95.